Hey, everyone! 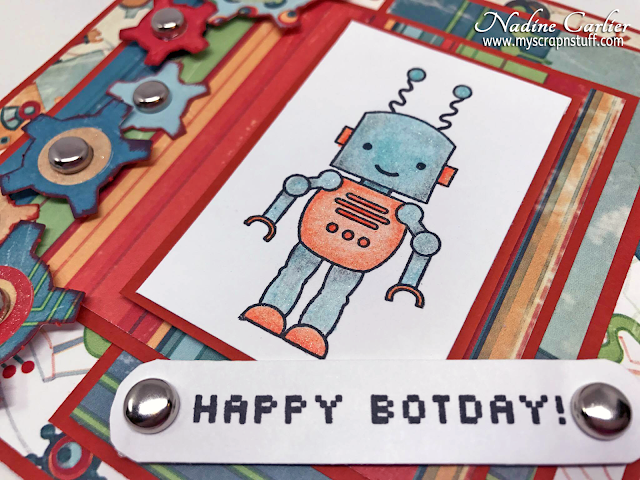 Today I am sharing a cute interactive robot birthday card using the Brutus Monroe August Stamp Club stamp. If you haven't already joined the stamp club you seriously should check it out, you get the cutest stamps and a great discount on other purchases too. 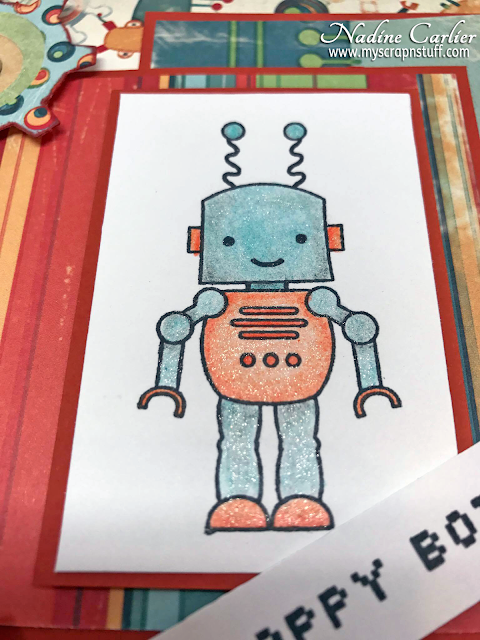 The stamp club set comes with 5 stamps total, a robot stamp, Happy Botday sentiment and 3 little stamps that say beep, bop, boop. Super cute! First, I stamped the robot with the Brutus Monroe Raven Detail Ink and also the sentiment. Then I colored the robot with some Leisure Arts Colored Pencils and added a little sparkle with a Wink Of Stella Glitter Pen. I attached the sentiment on with some brads and 3D foam squares. To make the card a little more fun I attached the die cut gears (the paper and gears are from the Cosmo Cricket Cogsmo Collection that I have had for a long time) with brads so they actually turn making them interactive and inked the edges of them with some Brutus Monroe Surface Ink in Wagon. A 2x3 stamp set for only $5 which includes your shipping and handling! 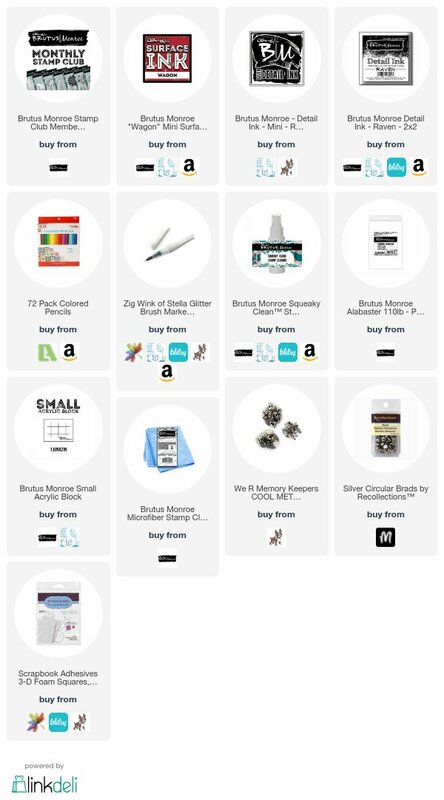 10% off of your everyday regular priced purchases at BrutusMonroe.com - this discount will be applied automatically the next time you sign in, if you are not seeing the discount immediately after your purchase, please refresh your browser. For more info on how to join the Brutus Monroe Stamp Club, click HERE.